FILE PHOTO: A man walks past the signboard of Kobe Steel at the group's Tokyo headquarters in Tokyo, Japan. TOKYO - Kobe Steel Ltd falsified data on product quality and specifications longer than the 10 years that the company had previously stated, a source with knowledge of the matter said. Japan’s No.3 steelmaker is still trying to nail down the extent of the tampering, the source told Reuters, requesting anonymity because he was not authorized to speak to the media. The cheating went on for decades with the knowledge of plant and quality control managers, the Nikkei reported earlier, without identifying the source of the information. The revelations have sent shockwaves through supply chains around the world and hammered Kobe shares, which fell to near five-year lows on Monday on worries about the financial and legal fallout of the cheating scandal. Last week investors knocked about $1.8 billion off the value of the company as successive revelations deepened the crisis. The shares were trading nearly 6 percent higher on Tuesday. Kobe Steel Chief Executive Hiroya Kawasaki on Friday said about 500 companies had received its falsely certified products, more than double its earlier count. No safety problems have surfaced as the Japanese steelmaker attempts to confirm the extent of the data tampering, but companies from operators of Japan’s famous bullet trains to the world’s biggest aircraft maker, Boeing Co,, have become ensnared in the scandal. 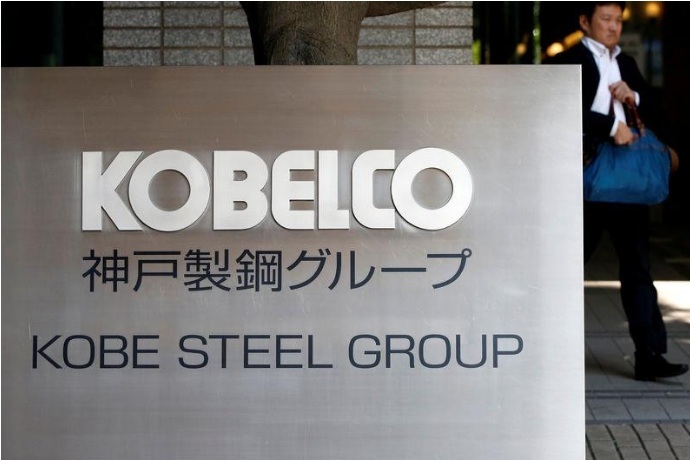 Kobe Steel Ltd falsified data on product quality and specifications longer than the 10 years that the company had previously stated, a source with knowledge of the matter said. Japan’s No.3 steelmaker is still trying to nail down the extent of the tampering, the source told Reuters, requesting anonymity because he was not authorized to speak to the media.